If you’ve never visited a farm to cut your own Christmas tree in Wichita, you’re missing an incredible experience. Even if you’re not up for doing all the sawing yourself, you’ll still enjoy a visit to area Christmas tree farms. They’ll offer to do the cutting and will tie the tree to your car, or there are pre-cut options available too. You’ll find plenty of Christmas tree lots in Wichita, KS but if you have the time this season, get out and smell the trees while enjoying the holiday festivities each farm offers. Here’s a list of Christmas tree farms in the Wichita area. 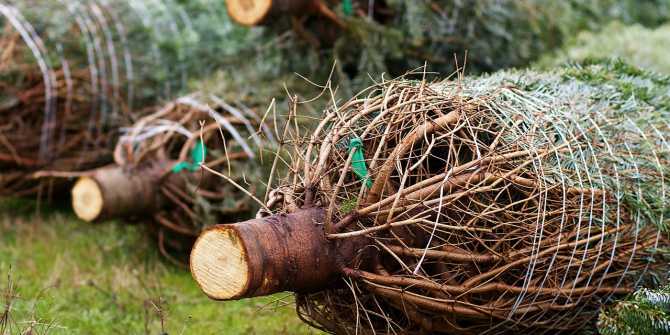 Be sure the call in advance to check hours, tree supply and what activities are available. Season: Nov. 23 through mid-December. Santa visits Nov. 23 at 11 a.m. Season: Nov. 23 through Dec. 16. Season: Nov. 18 through Dec. 21. For more Christmas cheer check out these family-friendly holiday events or upcoming holiday shows.